Ruby garnet color. Aromas of pepperoni and graphite with a soft, bright, dryish light-to-medium body and a tingling, relaxed cranberry, fudge, and honey candies finish with light oak flavor. A breezy red quaffer for anytime sipping. 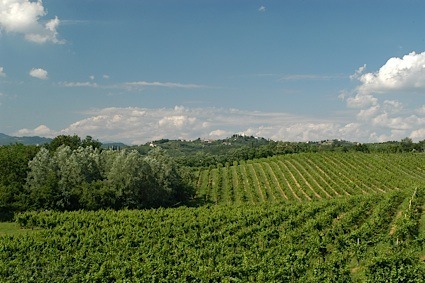 Bottom Line: A breezy red quaffer for anytime sipping. 85 • Easley NV "I Think" Red Blend 14.6% (USA) $14.99. 90 • Easley 2015 Unoaked, Chardonnay, American 13% (USA) $9.99. 87 • Easley 2015 Riesling 12% (USA) $9.99. 87 • Easley NV Reggae White Blend 10% (USA) $6.99. 85 • Easley NV Barrel Red Wine 10% (USA) $7.99. 86 • Easley NV Cranberry Jubilee 8% (USA) $7.99. 83 • Easley 2016 Traminette, American 11% (USA) $8.99. 87 • Easley 2016 Riesling, American 11% (USA) $8.99. 89 • Easley NV Reggae White 10% (USA) $6.99. 85 • Easley NV Sweet Tulip, Moscato, American 10% (USA) $6.99. 85 • Easley NV Reggae Red 10% (USA) $6.99. 84 • Easley NV Reggae Blush 10% (USA) $6.99. 86 • Easley NV Reggae White 10% (USA) $6.99. 87 • Easley NV Sweel Barrel Red 10% (USA) $6.99. 92 • Easley NV Blueberry Jubilee 10% (USA) $8.99. 87 • Easley NV Reggae Sangria 10% (USA) $6.99. 87 • Easley NV Reggae Margarita 11% (USA) $6.99. 84 • Easley NV Cranberry Jubilee, Muscat 8% (USA) $8.99. 89 • Easley NV Reggae Red 10% (USA) $6.99. 85 • Easley NV Reggae Blush 10% (USA) $6.99. 84 • Easley NV Reggae Sangria 10% (USA) $10.00. 90 • Easley NV Reggae Margarita 11% (USA) $6.99. 88 • Easley NV Sweet Tulip Red 10% (USA) $6.99. 86 • Easley NV Sweet Tulip Off-Dry, Moscato, American 10% (USA) $6.99. 83 • Easley NV Sweet Tulip Pink Moscato, American 10% (USA) $6.99. 83 • Easley NV Sweel Barrel Red 10% (USA) $7.99. 84 • Easley NV Sweet Barrel White 10% (USA) $7.99. 86 • Easley NV Cranberry Jubilee 8% (USA) $8.99. 90 • Easley Regel Tej Mead 10% (USA) $8.99. 87 • I THINK NV Red Blend 13.6% (USA) $14.99. 84 • No Opposition 2016 Chardonnay, American 12% (USA) $9.99. 84 • No Opposition NV Red Blend 13% (USA) $9.99. 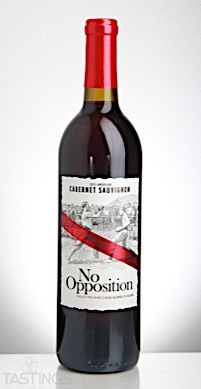 82 • No Opposition 2015 Cabernet Sauvignon, American 13.5% (USA) $9.99. 85 • No Opposition NV Red Blend 13% (USA) $9.99. 84 • No Opposition 2015 Cabernet Sauvignon, American 13.5% (USA) $9.99. 87 • No Opposition 2016 Chardonnay 12% (USA) $9.99. 85 • Sweet Tulip NV White Moscato 10% (USA) $6.99. 86 • Sweet Tulip NV Sweet Tulip Red 10% (USA) $6.99. 88 • Sweet Tulip NV Sweet Tulip Pink Moscato, Muscat 10% (USA) $6.99. No Opposition 2015 Cabernet Sauvignon, American rating was calculated by tastings.com to be 82 points out of 100 on 2/14/2018. Please note that MSRP may have changed since the date of our review.